So wrote Sidney Lanier over a century ago about his beloved South, and today this feeling continues along the land still untouched by development. St. Simon’s Island, in Glynn County, GA is a magical place that holds a great deal of relevance to my life. This is one of the most calming places I have ever spent time in. The island has its share of modern development but there is still enough wild land to keep the same picture Lanier had of this region so long ago. All of these photographs were taken by me in October 2010. The marshes in the fall almost look like they don’t belong to an earthly realm. 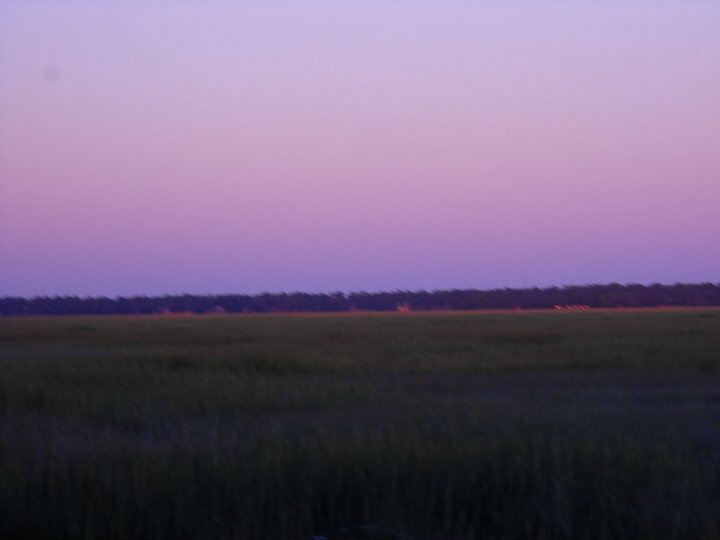 The tall marsh grass has shades of green, yellow, orange and red, perfectly complementing the purple and pink sunsets. The breeze is gentle and warm, and carries a salty aroma while tidal pools ebb and flow with the moon’s pull. 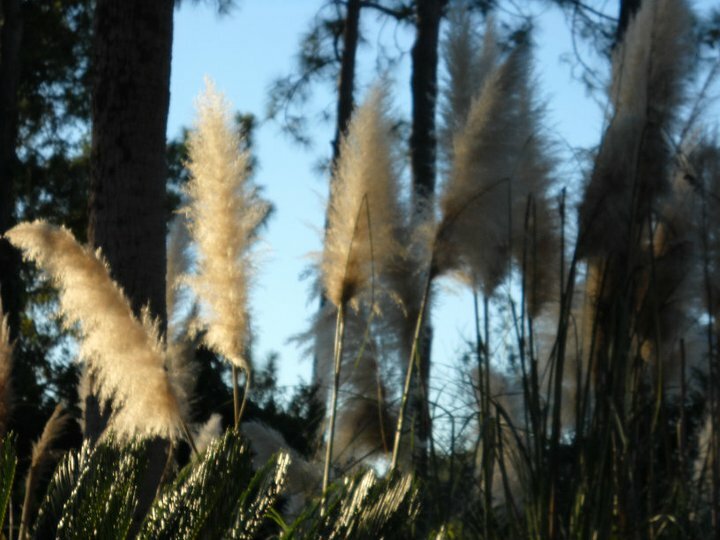 You can hear the pops and crackles of the marsh as well as the calls of the various birds inhabiting the island. Otherwise a serene silence washes over the entire scene as I am taken to a completely different place. I feel like I am standing in a continuum of centuries past and present, becoming as much a part of the island’s history as it becomes part of mine. These two pictures above are of the same area, taken about an hour apart. 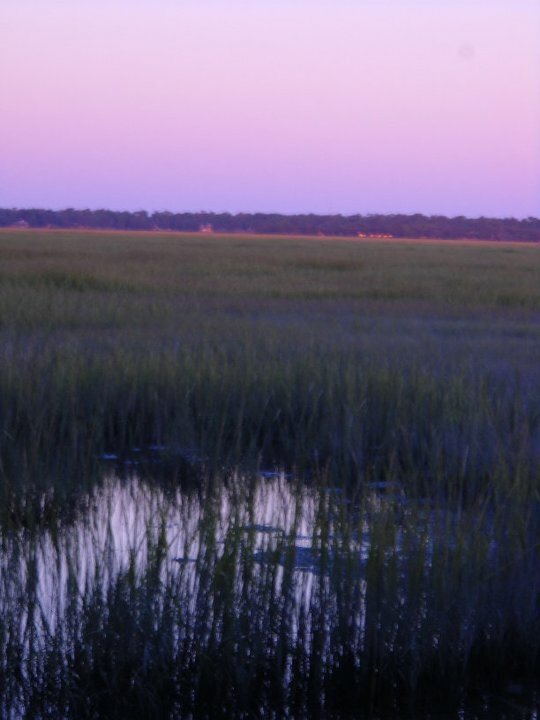 The marsh is ever-changing depending on the time of day and time of year. You never see it exactly the same as right now. I feel very fortunate to have spent countless hours in this enchanting place over the course of several years. 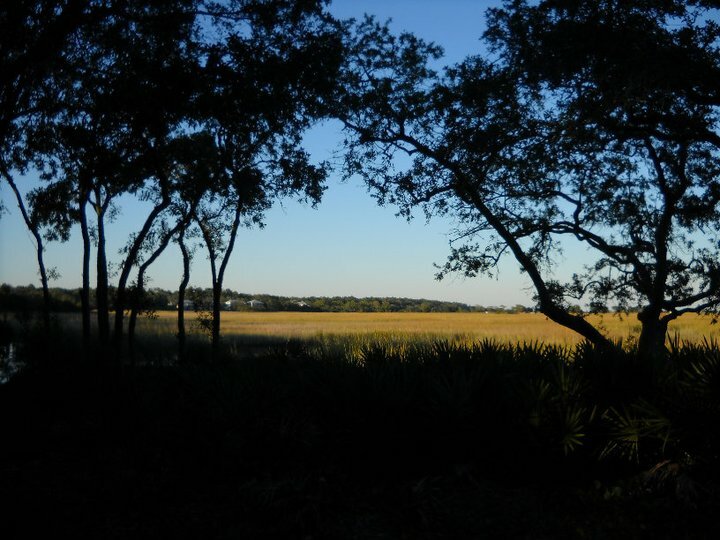 St. Simons Island, to me, is a place to recharge and rebalance. I wish it were still so close as an hour’s drive away. With the onset of an early winter chill, I can go back to the marshes of Glynn in my mind, and again in person before too long. I have traveled to many different cities and countries and can say with certainty that this is one of my absolute favorite places in the world to be. And that is part of its allure: all you really need to do there is just be. 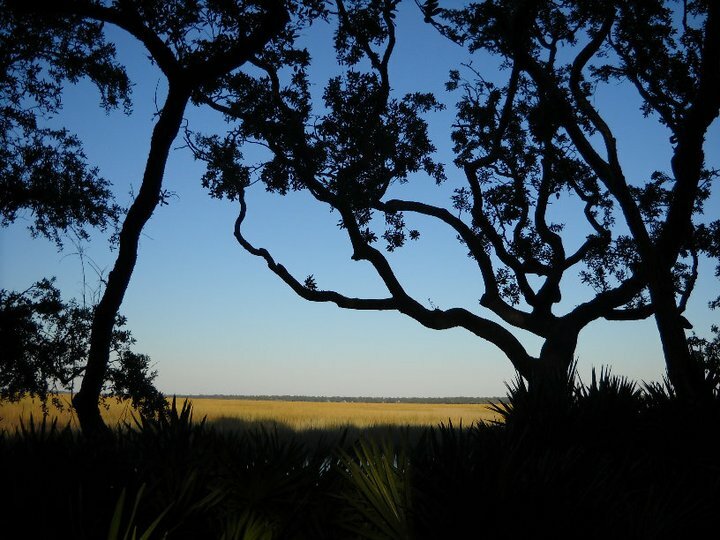 I have never felt so strong a connection between myself and a place as I have here, and the Lowcountry in general. I hope this view remains forever unchanged by sprawl or destruction.